The famous house of prostitution known as Jinpuro (Nectarine) or No. 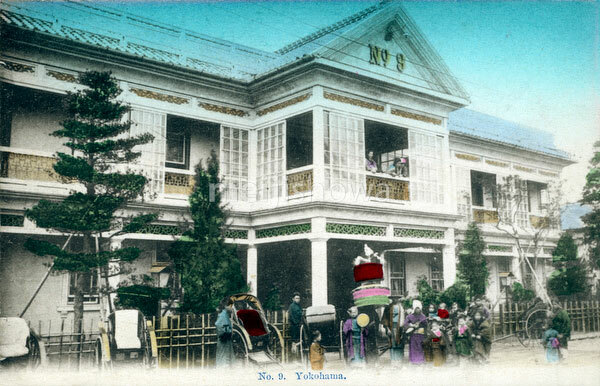 9, in Yokohama, Kanagawa Prefecture. Prostitutes are standing in the windows and jinrikisha are lined up in front.